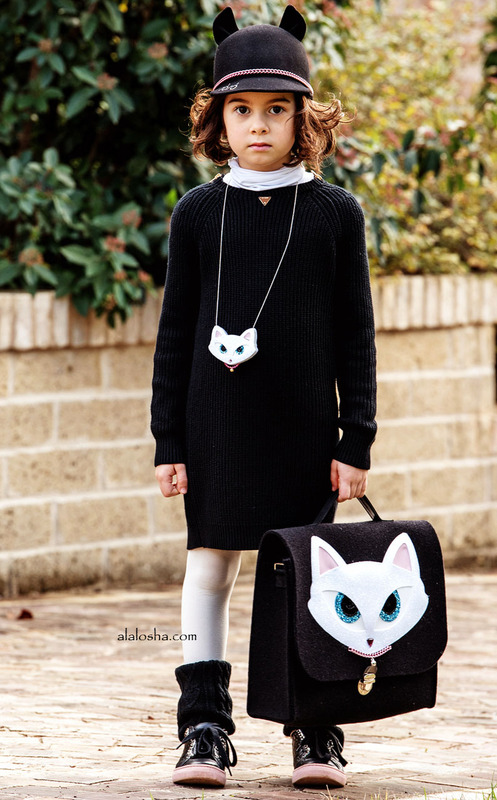 Every little girl (and not only) loves a cat outfits for Halloween. 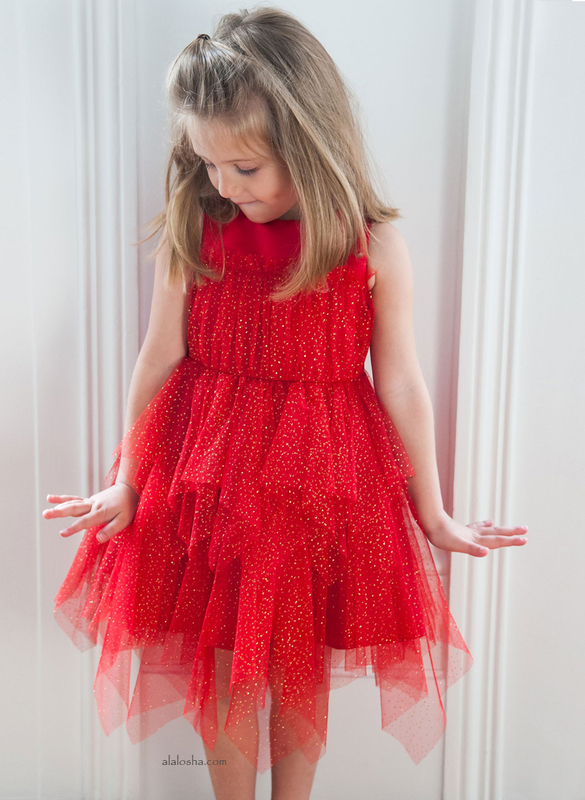 It's festive, flirty, and always versatile. It can be as simple or as complex as you want it to be. 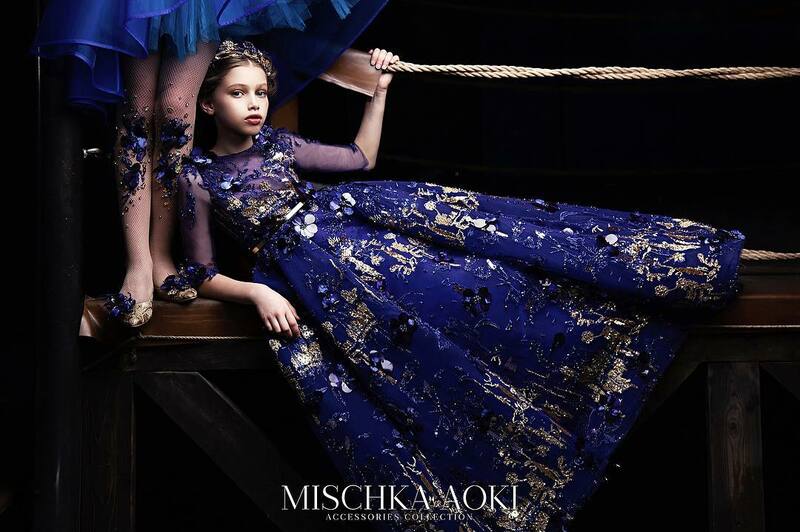 While a basic black cat is clearly the go-to, you can also get a little more specific, opting for a celebrity cat like Karl Lagerfeld's pampered pet Choupette or good-old Garfield the cat or RoRo's cats. Handmade in Italy by designer Roberta Malatin, Ro Ro is a collection of classically feminine accessories. Expect pretty hairbands, hats and bags, all crafted from natural fabrics such as wool and felt. 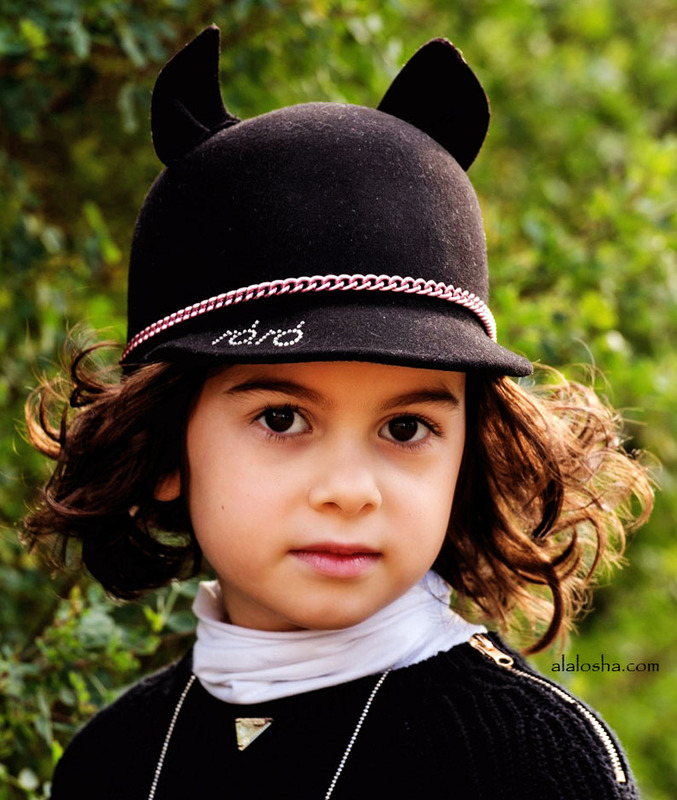 Girls adorable hand made, black hat by RoRo, made in soft felted wool. It has cute stand-up animal ears , a pink chain detail and a diamanté logo on the flexible peak. Girls gorgeous felted wool shoulder bag by RoRo. Hand made in Italy, it has a cute cat face appliqué in white sparkly glitter on the front. It has one compartment with an internal pouch pocket, fastening with a push buckle. The patent-look shoulder strap is adjustable and it has a matching short carry handle. 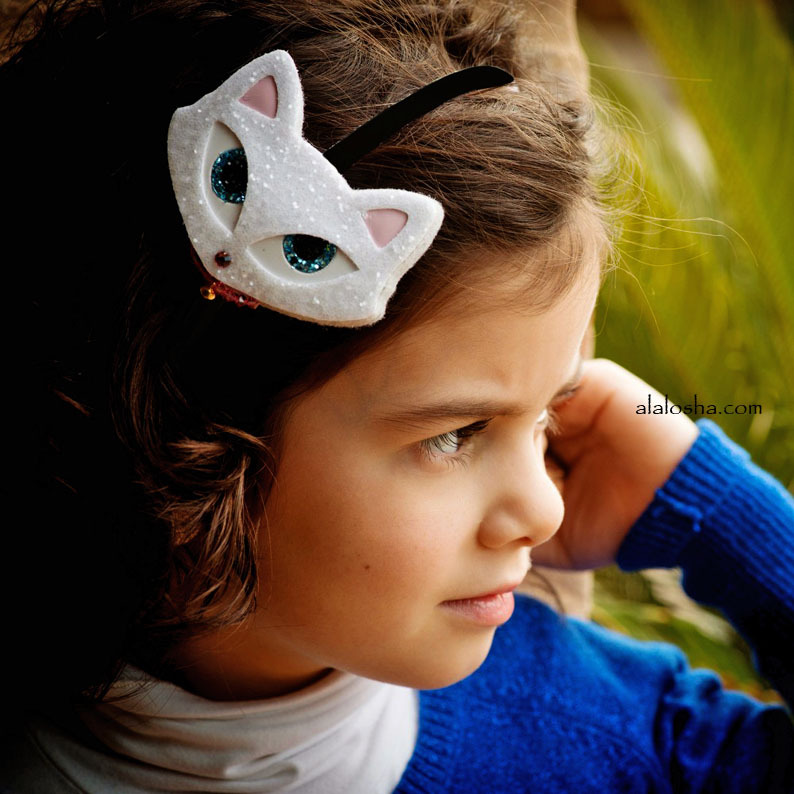 Girls narrow, black velvet covered and flexible hairband by RoRo. 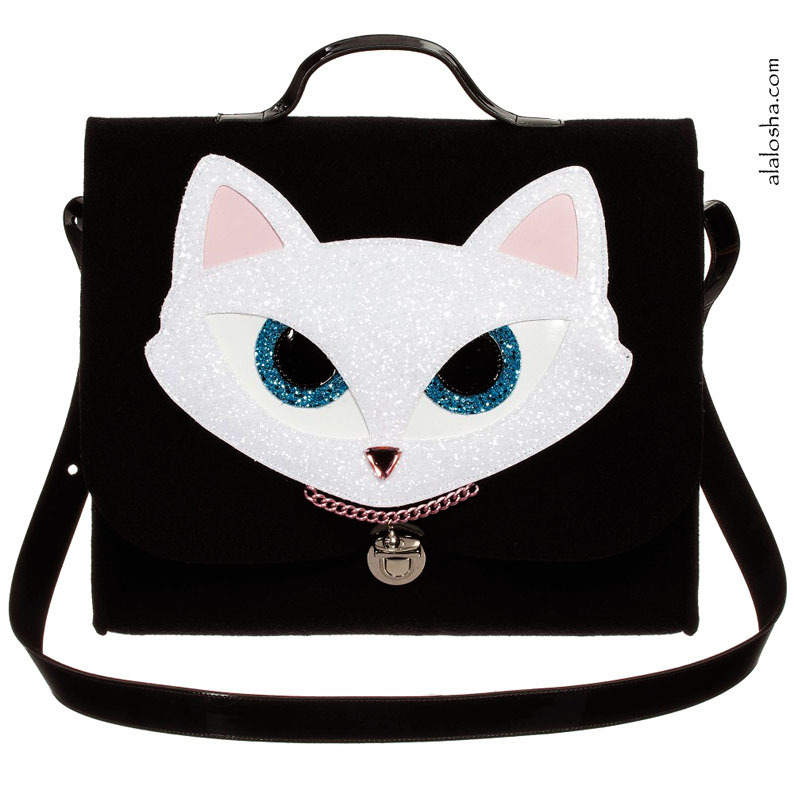 Hand made in Italy, it has an adorable felted wool cat face decoration, embellished with sparkling white glitter and a gems.